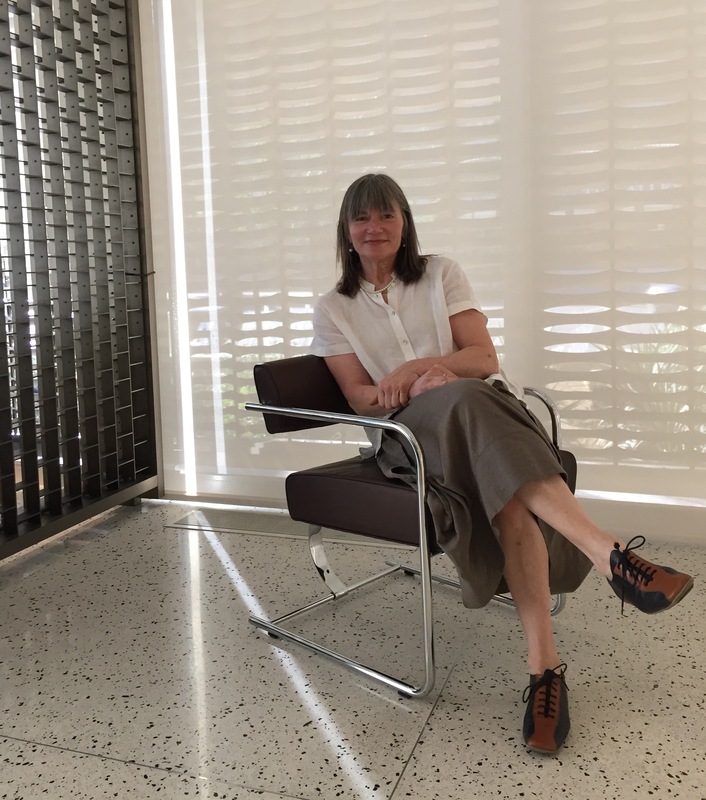 At the A+D Museum in Palm Springs with the famous Cantilever Chair, part of the new line of Neutra furniture produced by VS International. trying to mail you a book. where can i find your address?